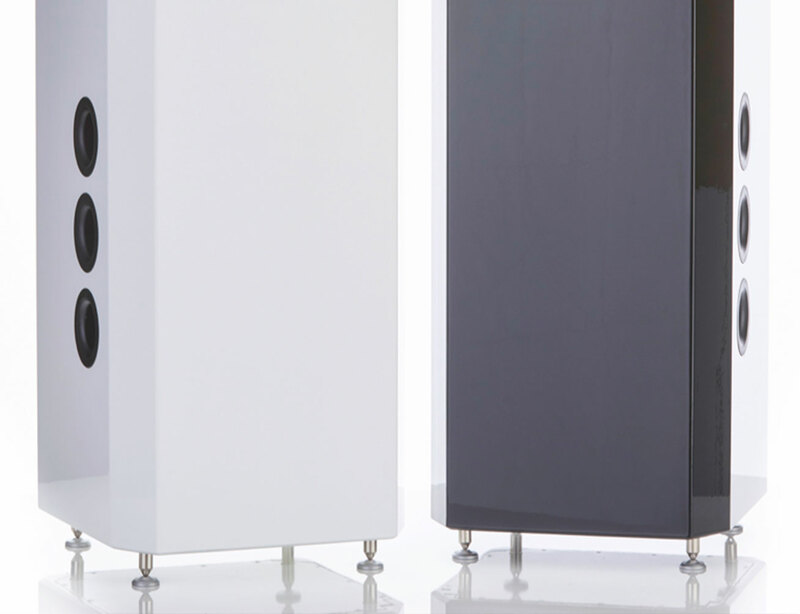 Like all genuin audio products, the pulse loudspeaker pursues the goal of authentic music reproduction in an uncompromising manner. For this reason, the aspect of accurate time coherence was at the centre of this development. We are convinced: without a transit-time optimised speaker layout, a convincing reproduction of natural sound material is not possible. 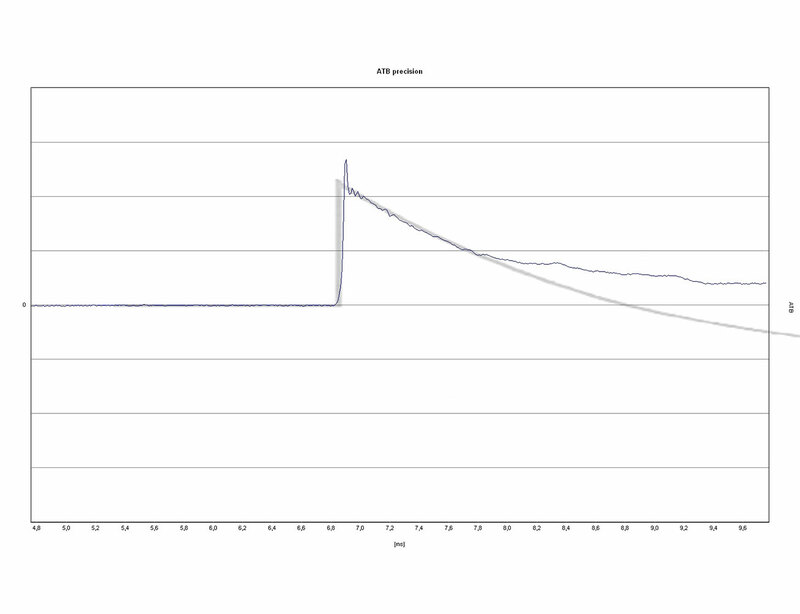 For this purpose, special attention was paid to the time-aligned arrangement of the drivers and a phase-corrected, pulse-optimized frequency crossover network. This constructive approach, combined with the best components (drivers, crossover parts, cables), ensures that the genuin audio pulse is 100% capable to carry out its most noble task: to make the soul of the music audible. The time correct impulses are decisive for authenticity, spatiality and original reproduction of the timbres. This is because such fast transient responses determine the recognition and allocation of individual sound events. These initial sounds are produced with practically every note played. That is why their correct reproduction is of crucial importance. The time references contained in the recordings, the corresponding spatial location and the momentum dynamics are then reproduced in their full intensity. In the construction of this three-way loudspeaker it was crucial to achieve a simultaneous emitting of sound from all four chassis used. They had to begin oscillation at the same time and transmit their individual characteristics towards the listener. Thus, a special baffle geometry was designed for the pulse. 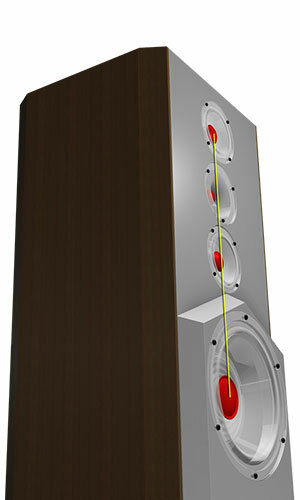 By means of a superimposed baffle the bass driver has been aligned to the acoustic centre of the mid-high-frequency unit, which themselves are mirrored according to D’Appolito. 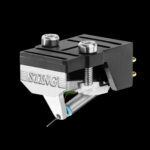 A sound-guiding waveguide in front of the tweeter ensures an adaptation to the mid-range drivers and consequently a time-balanced sound radiation. Because of these combined measures all sound radiations begin at the same starting point. The second crucial aspect of achieving a natural, timely reproduction is the design of the crossover. 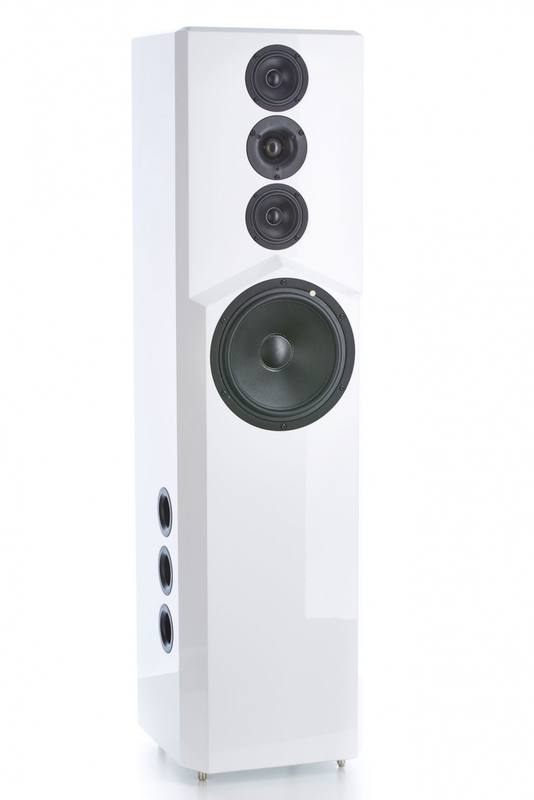 It contributes significantly to the outstanding sound quality of this loudspeaker. 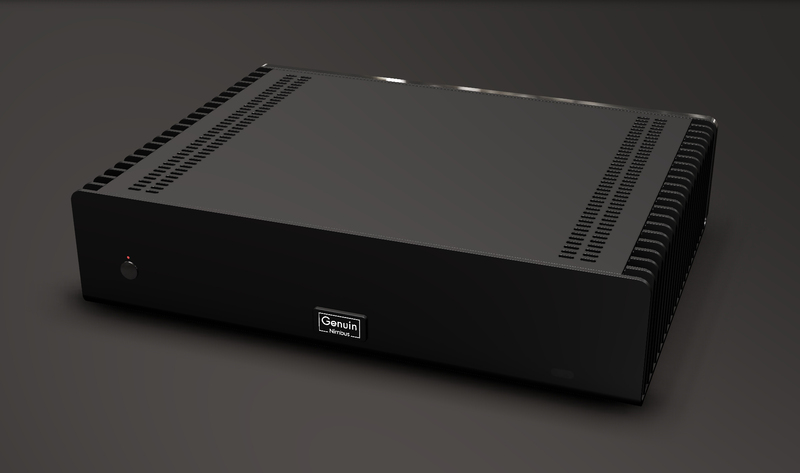 The genuin audio pulse is controlled and corrected by means of a targeted, finely tuned, exceptionally complex filtering network. The time/phase behavior is always correct. In addition to the expertise of the developer, the high quality level of the components used plays a decisive role. They are sourced from the renowned supplier Mundorf. 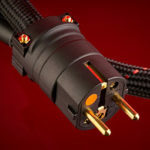 Within the genuin audio pulse, textile-coated solid-core copper conductors of the highest quality from renowned specialist Swiss Cables are used. They are tailor-made individually in the appropriate lengths to keep the signal paths as short as possible. When possible, the terminal contacts of the components have been directly twisted together and fixed by soldering tin. 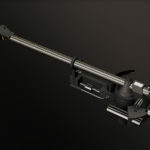 The components are stabilized by a vibration-reducing kneading compound. 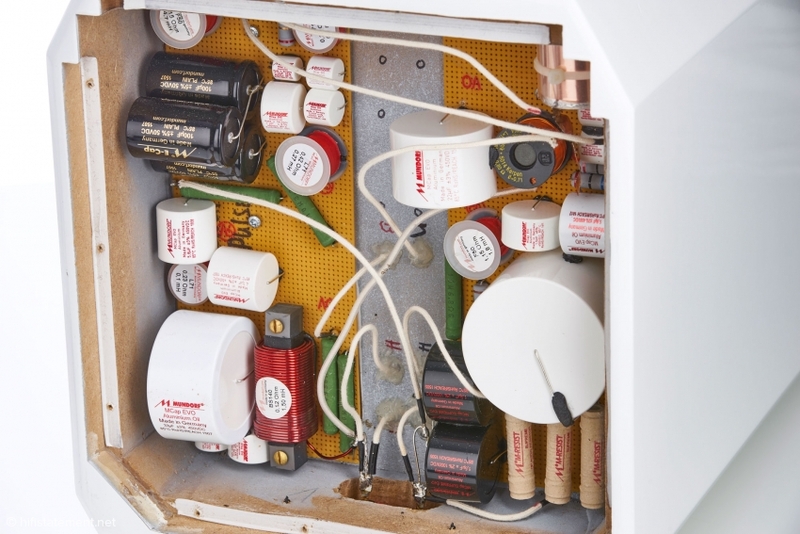 For the same reason, the crossover network is located in a chamber separated from the loudspeaker’s inner casing in the lower region of the housing. The spatial separation of the electronics from the pressure area reduces microphonic effects. 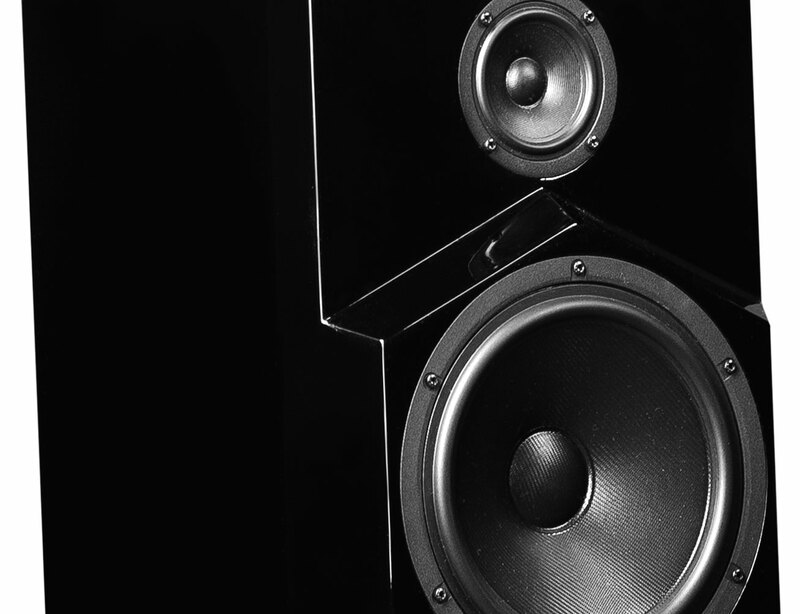 The use of loudspeaker drivers of the highest quality class is indispensable for maximum sound quality. 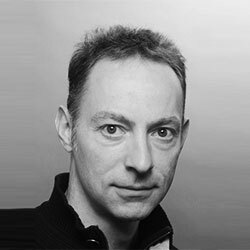 In countless conducted measurements and auditions, a fabric tweeter from the Israeli specialist Morel, as well as two Scan-Speak mid-range speakers with fibre-glass diaphragms and neodymium magnets, have qualified for inclusion in the genuin audio pulse. 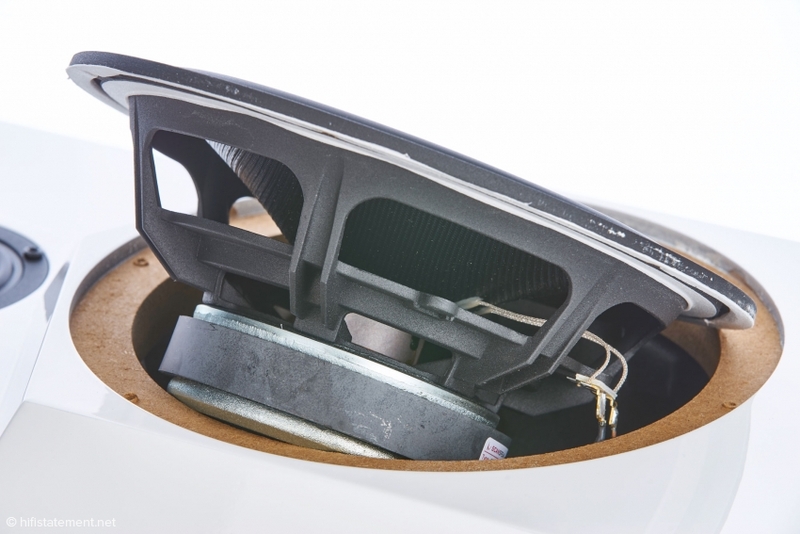 Also present is the 26-centimeter woofer from Scan-Speak from Denmark, whose membrane consists of the same coated material as the two mid-range speakers. 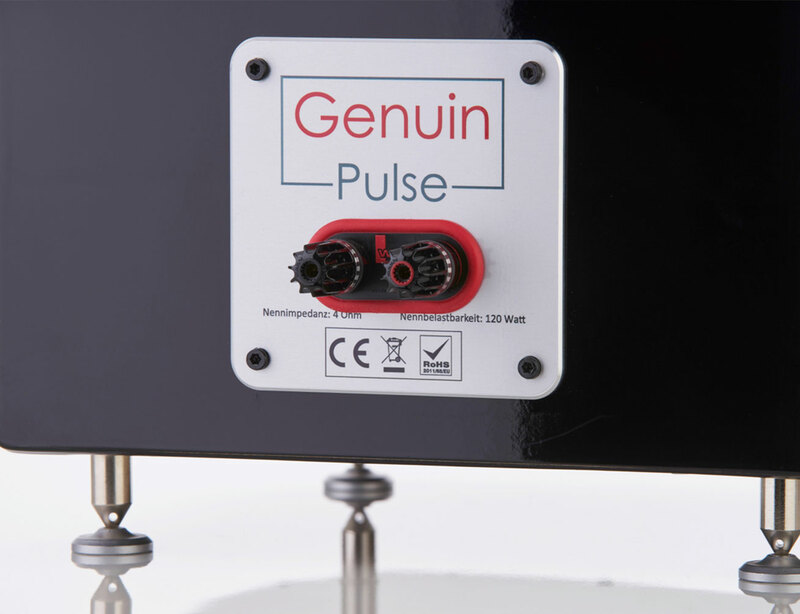 The bass range of the genuin audio pulse is variable via bass reflex tuning with the three ports. 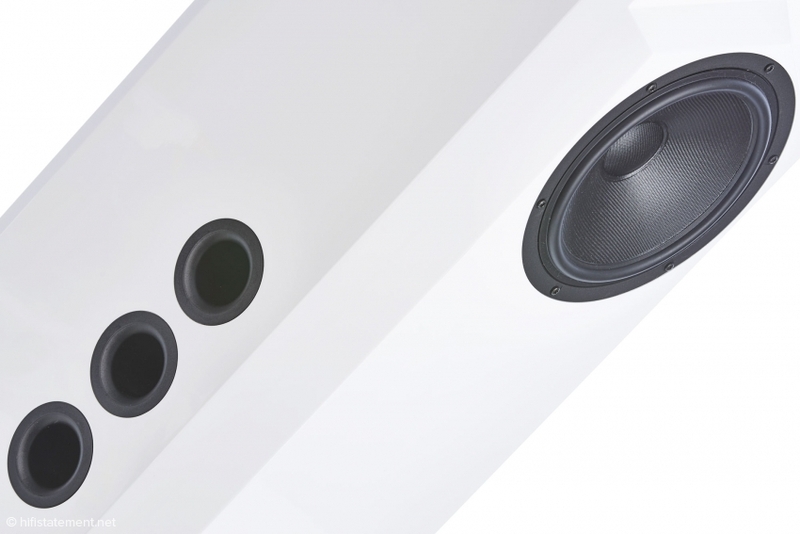 In order to adjust the low-frequency reproduction of the speaker to the characteristics of the listening room, it is possible to change the tuning frequency by closing one or two of the bass reflex ports. The deliberately mirror-like arrangement of the laterally inserted reflex openings allows a further influence on the room acoustics. 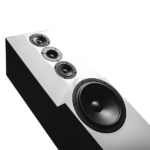 Depending on whether they are directed either inwards or outwards, the bass reproduction changes in conjunction with the listening room. This flexibility allows the genuin audio pulse to harmonize perfectly with the listening space in the critical bass range. 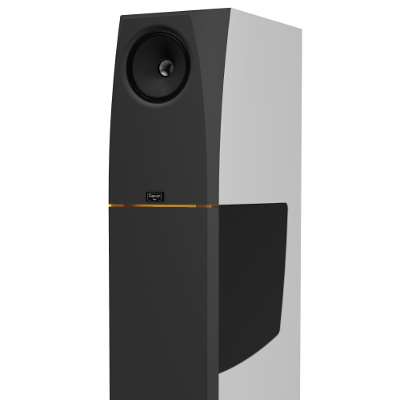 This loudspeaker is visually impressive, but it is also easy to integrate into common room formats. 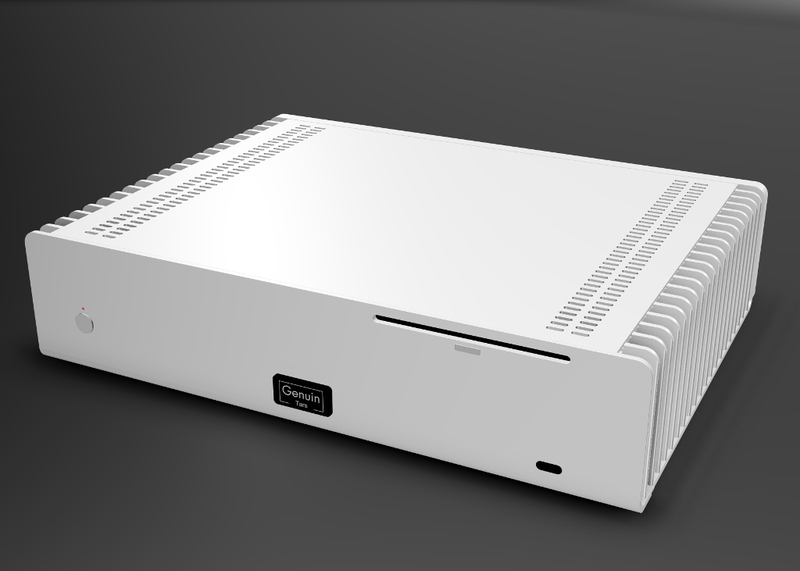 It is offered as standard in a black or white high-gloss version. 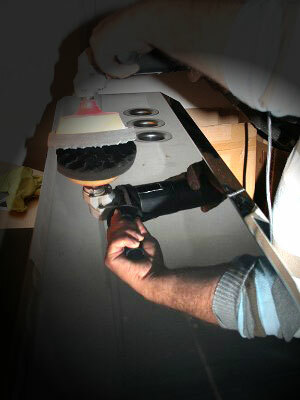 In order to guarantee an impeccable finish, the production is carried out in various individual work steps. Individual cabinet surfaces are also available on request. This is just one of the advantages of a high-end loudspeaker, which is individually manufactured for you in a manufactory operation. Regardless of the craftsmanship and the impressive appearance; it is the inner values of this loudspeaker that make the difference. The uncompromising dedication of all suppliers to perfecting the acoustic quality of the genuin audio pulse speaks for itself. This was achieved by innovative constructive approaches coupled with uncompromising component quality. 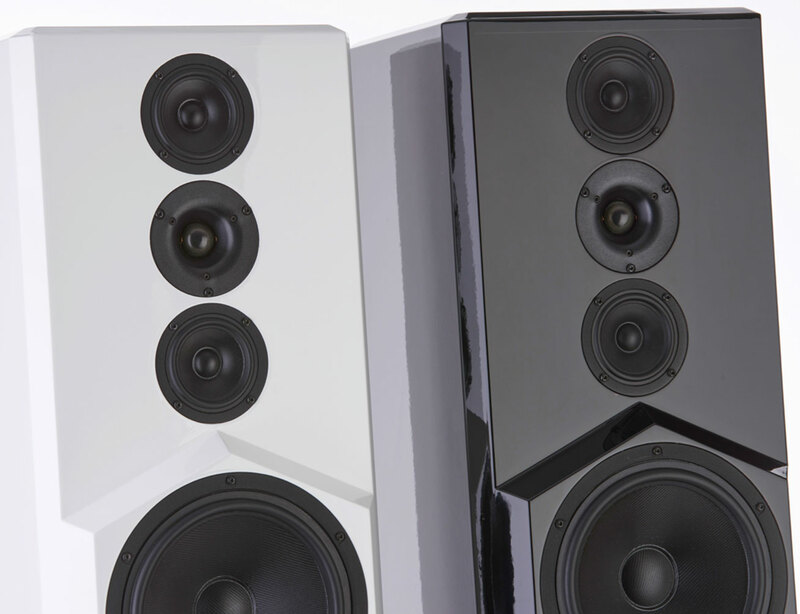 The result is a loudspeaker that ends your search for the perfect sound transducer. 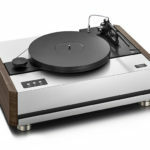 Because its music reproduction is absolutely authentic in every respect. What more could you want?